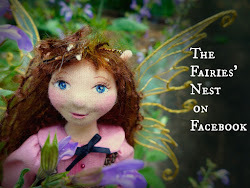 The Fairies Nest - OOAK Cloth Dolls & Fiber Fantasies: Contest! Kerri, of Little Moon Originals ,and I are sponsoring a contest for the group FAE (Fantasy Artists of Etsy) called Fantastic Fall Fantasies that is going on now. 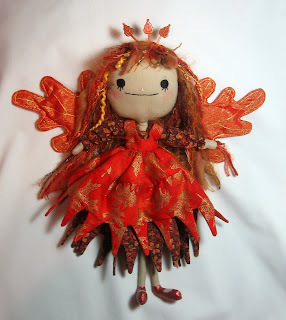 We decided to collaborate on a doll together for the prize and here she is! The contest ends Oct 8th and voting will begin then. To see more pictures and the contest entries so far visit our contest webpage. She's wonderful. Be sure to post when the polling or contest entry begins. 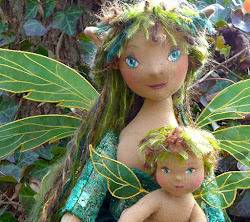 How cool is that, collaborating to make a doll that is part you, part someone else? She's really cool - her face reminds me of the podlings in the Dark Crystal, but I'd recognize that skirt design anywhere. I understand, from our pesky little brother, that he wanted the mushroom fairy as well, but that I beat him to the punch. Nyah, Nyah! Cindy likes me better! Can't wait to hear the outcome of the contest - I hope youze guyz win! Oh, my gosh, that is ridiculously cute. 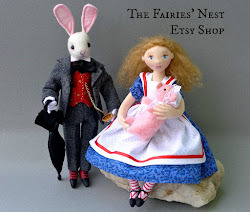 I just happened upon your website, great dolls!